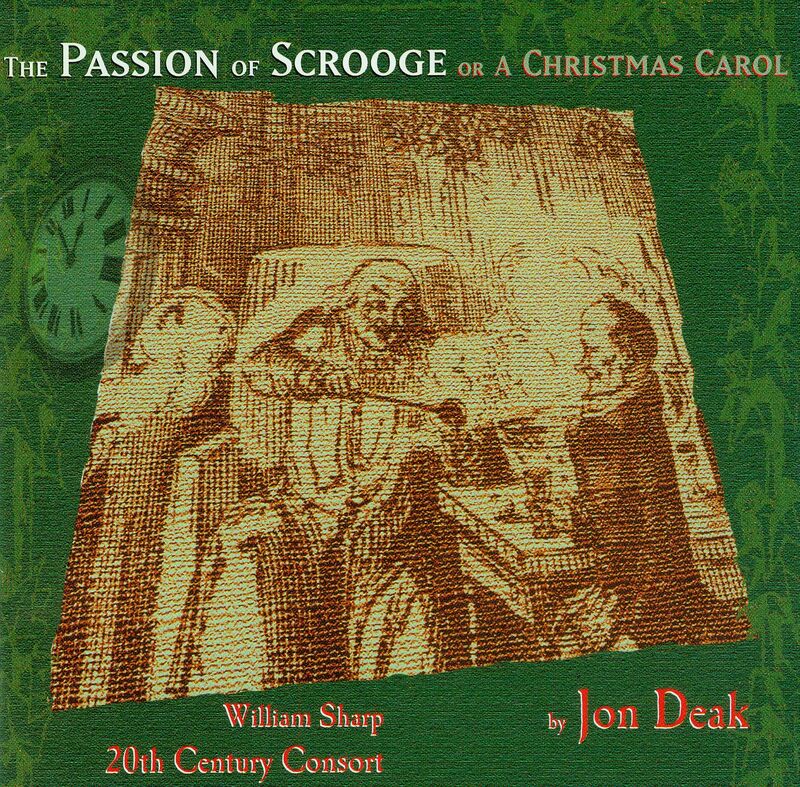 Performed by the 20th Century Consort conducted by Christopher Kendall and featuring William Sharp, baritone, this recording presents Jon Deak's brilliantly inventive music, bringing Dickens' beloved masterpiece into vivid and delightful relief. William Sharp's irresistible voice and astonishing ability to portray multiple characters create a portrait not only of Scrooge's crusty exterior, but also of his inner psychological turmoil. Already in live performance, this work has shown itself utterly engaging to children, teenagers and adults of all ages. Conceived as a crossover of concert drama, opera and radio play, a distinctive feature of Deak's style is the dramatic role of the instrumentalists. All ten players step virtuosically to "stage front", actually embodying the story's characters such as Cratchit, Marley and the Christmas Ghosts. An extraordinary dimension of this recording is the innovative conception of recording engineer and sound designer Curt Wittig. Recorded in surround sound and incorporating subtle, scene-suggestive sound effects, this recording will delight the audiophile as well as the music-loving public. Three-dimensional stereograms by artist Preston Wright are also included to bring Scrooge to life using Victorian technology.